Nokia continues to develop quality devices, embedded with stellar camera features and infused with Windows exemplary software. The technology, in the midst of Samsung and Apple, is still a work in progress, but the company is on the right track. 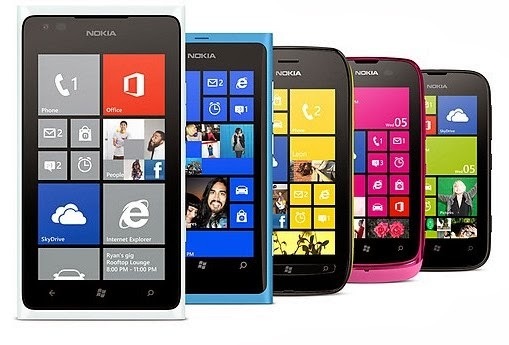 Nokia has developed a dedicated following of customers with their expansive phone selections and ever growing tablets. The impressive line of Nokia Lumia phones and tablets continue to produce dominating specs that seem to fall behind the spotlight of Apple and Samsung. The partnership between Nokia and Microsoft rose to a merger that has developed quality items with tech specs that continue to impress. To steal a piece of the Apple spotlight is a mighty feat, but Nokia is a doing an excellent job of making its presence known. The company is doing amazing things. As Windows Phone-based Lumia devices are still too expensive to appeal to a broad swathe of consumers in developing countries, Nokia introduced their new cheap line of devices, Asha. Nokia hopes to change the low end of the market with the introduction of the Asha series phones. All the Asha phones use an updated version of the user interface than Java one. But their is some confusion in the naming of Asha phones and other multimedia phones. Lets say as example that Nokia 515 is a non Asha phone where Nokia 501, 502 and 503 all are Asha phones. So before buying you have to be sure that you really wants and what are you buying! Beside Asha Nokia also produces some of its allrounder tough phone till now. They are always the best in class what they are meant to do. Here in this post i am compiling all the available Nokia phones price so that you can find it easier to choose the device best for you. But price may change time to time depends on various factors. Also don't forget to see about the warranty information, its also one big factor for price difference in different stores.